and head mechanic Bob Watson of Southwest Helicopter Service. 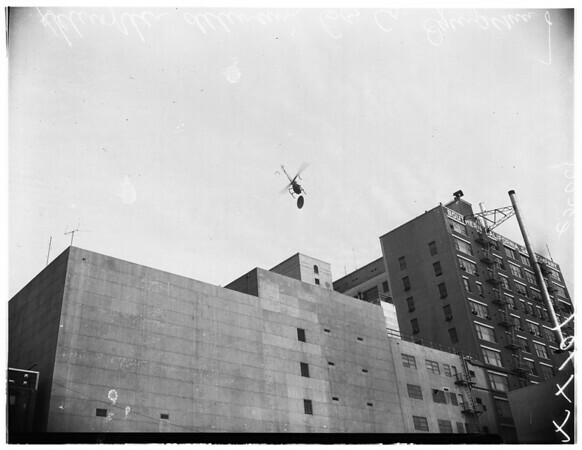 Pix of helicopter in air. Equiptment [sic] is underneath, suspended by rope".